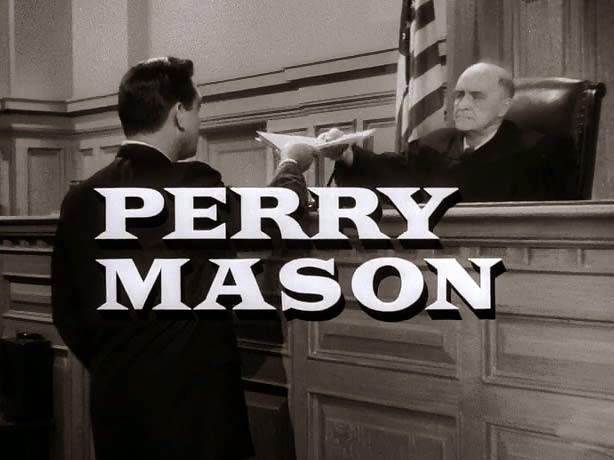 Perry Mason is an American dramatized court show produced by Paisano Productions that ran from September 1957 to May 1966 on CBS. The title character, portrayed by Raymond Burr, is a fictional Los Angeles criminal defense lawyer who originally appeared in detective fiction by Erle Stanley Gardner. Many episodes are based on stories written by Gardner, others are based on characters created by him. At one time, the show was "television's most successful and longest-running lawyer series." Another series, The New Perry Mason starring Monte Markham ran from 1973 to 1974, and thirty made-for-TV movies aired from 1985 to 1995, with Burr returning as Mason in twenty-six of them. The show's theme music, "Park Avenue Beat" by Fred Steiner, is one of television's most recognizable themes. Fred Steiner (1923–2011) was an American composer, conductor, orchestrator, film historian and arranger for television, radio and film. Steiner wrote the theme music for The Rocky and Bullwinkle Show, Perry Mason and The Bullwinkle Show. In film, Steiner was one of the team of composers for the 1985 film, The Color Purple, which received an Oscar nomination and was an uncredited composer for Star Wars Episode VI: Return of the Jedi. Steiner was most active in television series during the 1950s and 1960s. His numerous composition credits included music for Hogan's Heroes, Have Gun–Will Travel, The Twilight Zone, Gunsmoke, Star Trek and Rawhide.